The Worship Circle projects feature the acoustic sounds of husband and wife team, Ben and Robyn Pasley. Their artistry, faith and life all speak an intimate language with God. 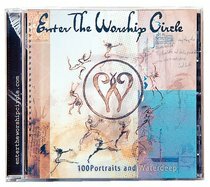 About "First Circle (#1 in Enter The Worship Circle Series)"